Adam Hood has always been unique in the Texas scene. He’s an oustider from Alabama with a soulful voice, a troubadour’s heart and songwriting that isn’t reliant on geographic cliches. He first made waves by hitting venues in Texas one night at a time. Once even doing 28 shows in 28 days. Many times it was just he and a drummer pumping out a sound that many 5-piece bands can’t duplicate. After a brief hiatus, Hood has returned with an EP full of new original material, a spot on Willie Nelson’s summer tour and is the headliner for the 10th Annual Greenfest on July 30. This new self-titled EP sees Hood branching out from his Different Groove LP and expanding on both the country and soul driven sides of his music. It speaks to the type of musician Hood is that he’s able to pull off both styles in a fantastic manner. “Flame and Gasoline” is a country themed torch burner full of a driving beat, a smooth bridge and a slide guitar that would make Duane Allman proud. “Shape of Things” continues the country theme and features a hearty steel guitar high in the mix. At points Hood’s vocals harmonize with the steel to set a heartbreaking mood that fully complements the lyrics. With lines about regret and despair sung with an optimistic tone, Hood give the protagonist a well-rounded, sympathetic treatment. Track 3 of this five song set is “Used To Be Your Sunshine” and it mixes the country world and blue eyed soul portions of Hood’s pallete to a near perfect degree. The melody slightly evokes Jimi Hendrix’s “Wind Cries Mary” if it was a country tune sung by Otis Redding. “Songs For Three Girls” follows in previous Hood life on the road staples like “Cars, Trucks and Me” and “Buzzes Like Neon”. It has a Mellencamp/Springsteen feel musically as the lyrics make clear, personal observations from a lifetime of singing in dives to the metaphorical three girls. The collection rounds out with the most soulful of the bunch, “This Thing”. 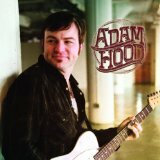 Hood channels all the best of Muscle Shoals soul music and produces a tune with full female harmonies, soul-tingling organ runs and perhaps his finest vocal performance laid down in a studio setting. If this EP is any indication, Hood has plenty of tricks up his sleeve and the long wait between studio efforts has been well worth it. AGREED LONG AWAITED….. BEING A LONG TIME FAN OF ADAM’S MUSIC, THIS EP IS A RAINSTORM IN A DROUGHT. I AM STILL SPINNING THE OLD STUFF AND THIS NEW EP IS IN THE PLAYER, ITS ONLY BEEN A WEEK BUT I DIG IT…. GET YOU OWN….SOON SOON. We just listened to Adam Hood’s new album release. For those of you who know me well, it is exactly what I promised his live shows were. His last record was overproduced by “Hollywood” (no, really, it was). I did not know how to describe it at the time of the release. I am glad that Adam threw off the producer’s yolk, and is now enabled to give us a true version of what he really is. Adam is a dear friend. He played at our wedding. Please give the new EP a listen. It is also available for download via I-tunes and Amazon. Thank you, to fans everywhere. Next PostBilly Bob's Wants Who?